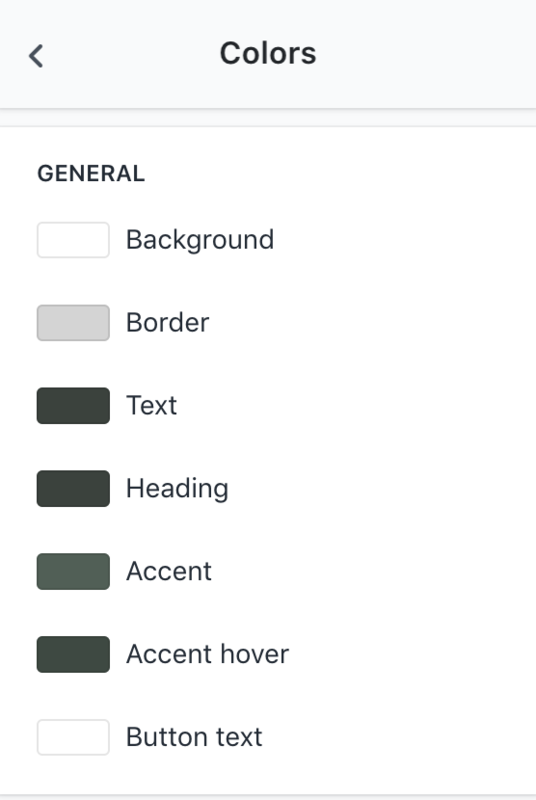 The Theme settings tab (located to the right of the Sections tab) lets you make global changes to the look and feel of your store through settings, such as Typography, Colors, and Social media. Virtually every color in Atlantic is customizable, with clear self-explanatory names and descriptions in the theme settings. The colors are organized into three categories: General, Header, and Navigation. Click on the swatch to edit the colors. A popup with a color selector will appear, which allows you to adjust and test out custom colors. Atlantic comes with dozens of hand-picked fonts for your store. 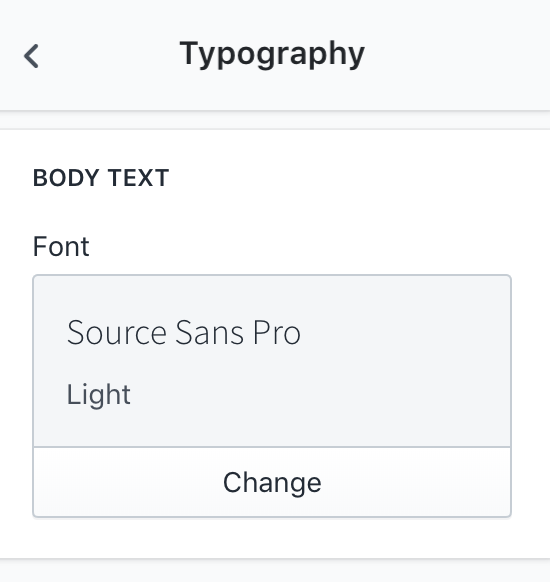 Fonts can be set for your store's Body text, Headings (Font and Secondary font)and Accent text. To add emphasis to the heading font, you can Capitalize it by checking the box. The Product grid settings allow you to make global changes to the way customers view and interact with your products. This includes the details that are included in product listings (brands, links, etc.) as well as whether users can add products to their cart without leaving the page they are currently viewing (also known as "quick shop"). Under General, you can enable Show brand names/links. 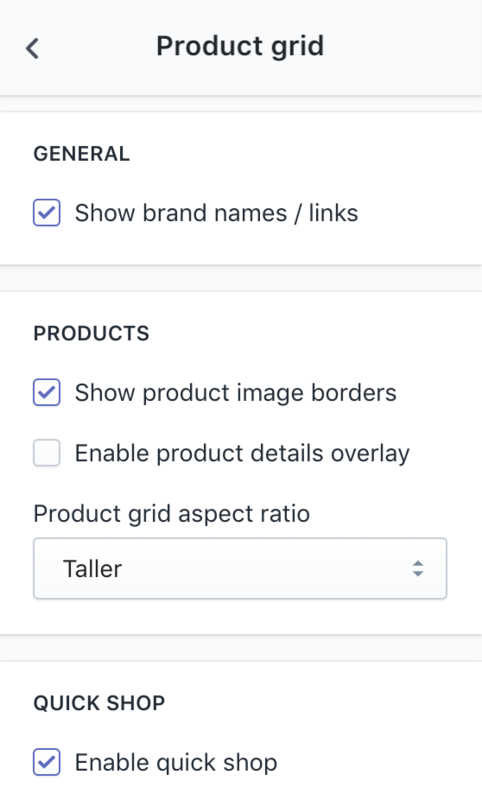 If you want to change the brand names, links, or any other product details, you can do so under Organization > Vendor in the product editor of the Shopify admin. Here you can enable/disable Show product image borders and Enable product details overlay. By enabling quick shop on your theme, customers can view and select products without leaving the page they're browsing–creating a fast and seamless shopping experience. Start by checking Enable quick shop (if it isn't already checked). Below that, there are five checkboxes that let you further customize the information that displays in your quick shop windows. Then select the Product thumbnail position you want to use from the dropdown menu. This option refers to the alternate views of your product that appear adjacent to the main image. You can opt to show them to the Left of main image, Right of main image, or Below main image. 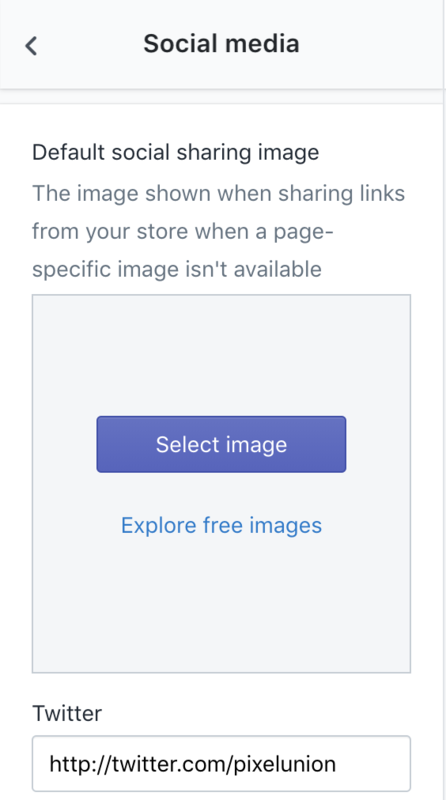 In these settings you can select the default image that will accompany a link when customers share to social media platforms. 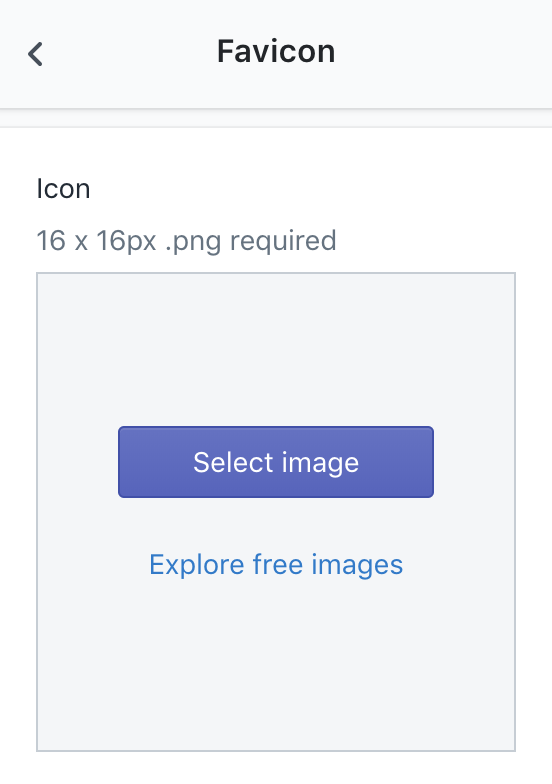 Open Select image to choose the image you'd like to assign. Atlantic supports social icons for Twitter, Facebook, Google+, Pinterest, Instagram, Tumblr, YouTube and Vimeo. Simply enter in your account URL in the relevant field and the social icons will automatically appear in your footer. Shopify works in virtually every country and every currency. With Atlantic, you can cater to international customers with a currency converter that displays as a dropdown menu in the header of your store. This allows customers to dynamically update their prices throughout your shop. After enabling the converter by checking Enable currency conversion, you can choose which currencies are supported and how they display. Under Supported currencies, you can select which currencies you want to allow users to display when browsing your store. Be sure to use the country’s ISO currency code, and separate each with a space. Note that exchange rates used by Shopify are refreshed twice a day based on rates at XE.com. You’ll also set the Default currency in these settings. This is the currency that will display when a user first lands on your site–before they have had a chance to use the currency customizer. This is different from Store currency, which is the currency you use to process orders. 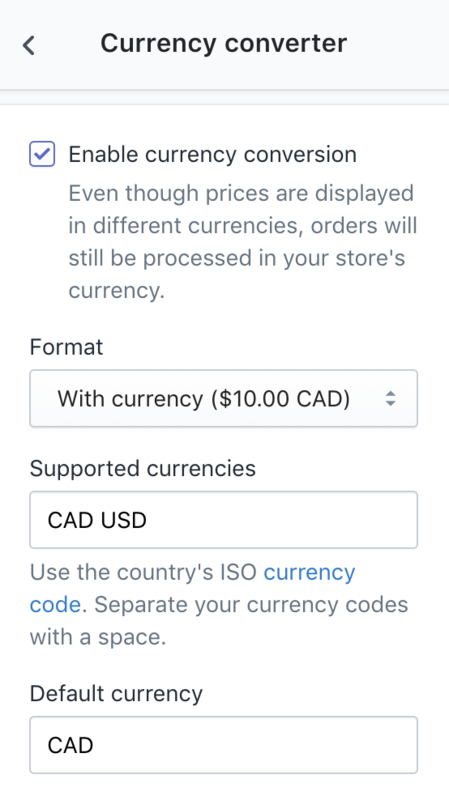 You can set your Store currency in the Shopify admin under Settings > General > Store currency. Under the Checkout portion of the theme settings you can add custom banner images, logos, and backgrounds, as well as customize the fonts and colors used throughout the checkout process. The Banner is the top section of the checkout screen where your store name appears. By default, it is transparent (or whatever color your store's background is), however you can customize it by uploading a Background image in the Banner section. If you want to add your store's logo to the Checkout page, simply upload an image using the Select image link. You can also define the Position (Left, Center, Right) and Size (Small, Medium, Large) of your logo. The main content area is the left side of the Checkout where a user provides their email and shipping address. If you'd like to use a custom background here, either upload a Background image or use the color picker to select a Background color. You also have two options for the color of the Form fields—White or Transparent. The Order summary is the right side of the Checkout where customers review the details of their order. Upload a Background image or or use the color picker to select a Background color. You can customize both the Headings and Body fonts used on the checkout screen by selecting fonts from the corresponding dropdown menu.